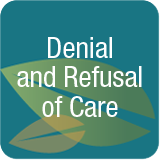 Denial and Refusal of Care – Denial and refusal of care is frustrating for caregivers attempting to be supportive when parents refuse or deny care. Admitting that any of us need care or assistance is difficult. Parents and loved ones say, “I don’t need any help,” when care is needed. How do caregivers provide support without taking over or demanding care be accepted. Is this even possible? When “I don’t need help” results in family disagreement. For over-burdened caregivers, setting boundaries offers a solution. Navigating the 12 Stages of Life: Interview with Dr. Thomas Armstrong, Author and Educational Consultant (podcast 10:40 playing time) Press play below to listen to the podcast. Are You in Poor Health? Home > Are You in Poor Health?